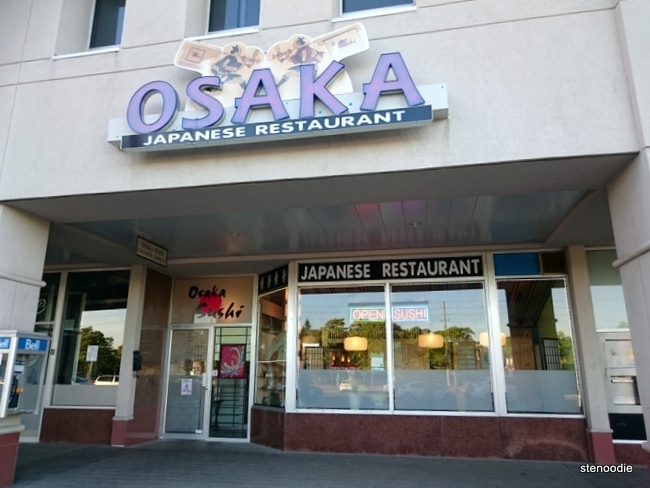 Osaka Sushi Japanese Restaurant is located on 5762 Highway 7 East nearest to the major intersection of McCowan Road in Markham. 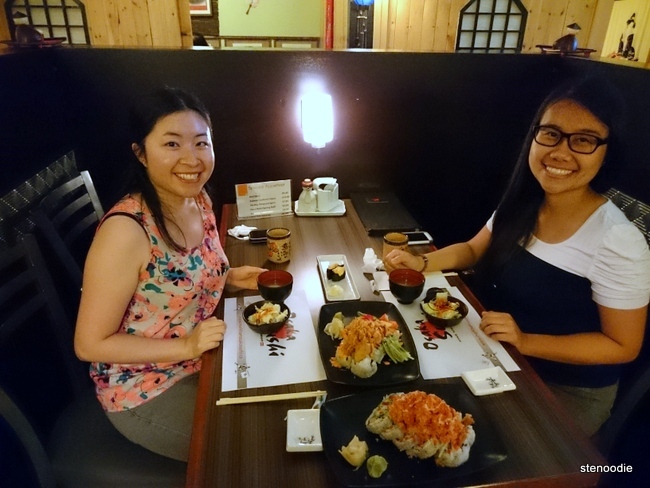 I say this place is a hidden gem because it’s located in a plaza where there is also a No Frills but it’s not very easy to spot from the street as it looks like any average Japanese sushi restaurant that is out there. However, when you step in, you immediately feel like you are transported into a little town in Japan. The decor and interior design in this restaurant were on point. The restaurant made use of the rectangular space they had by designing individual “houses” that looked like the ones in Japan. Thus, each table not only got its own partition and privacy, but they really maximized the number of guests and tables they could fit into the unit. The environment was comfortable and serene. 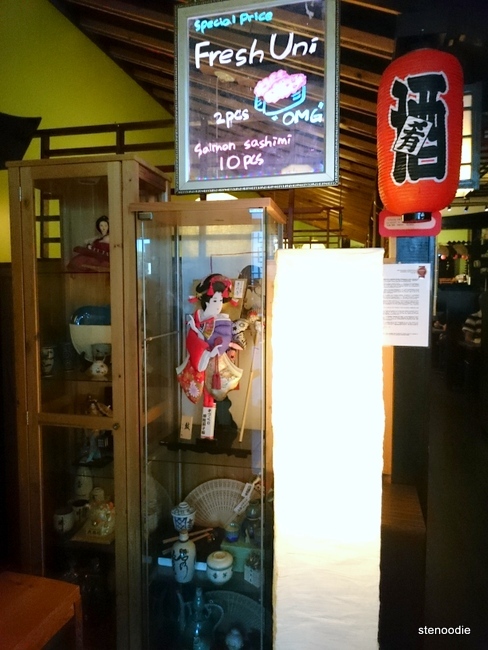 There were lots of innate Japanese-style dolls and various decor too. When I stepped in at around 7:50 p.m. on a Saturday night, I already knew that I would be expecting a line — which turned out to be true; there were about two parties waiting before me. I had briefly checked the comments on Yelp before my arrival and past customers commented that there is always a line here on the weekends. Such popularity meant that this restaurant must be good! The server took down my name and party number and informed me that it would be about a 10-minute wait. After about 15 minutes — but it felt shorter than that — we got our table of two and nestled into a nice table with partitions separating us from the other people in the restaurant. I really enjoyed the private space! 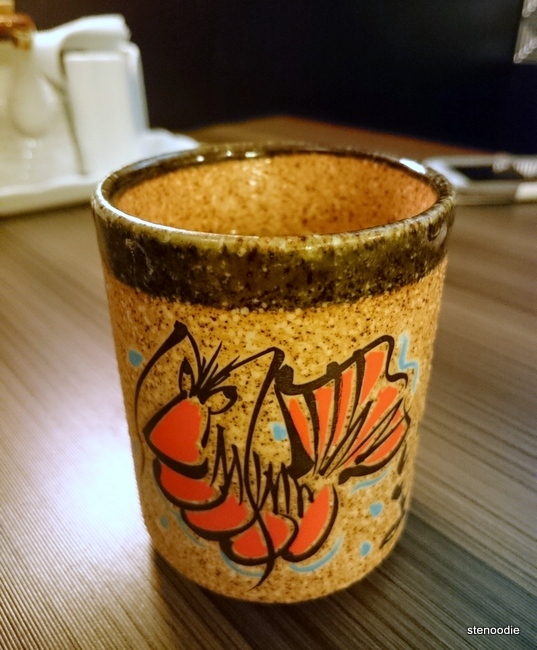 A beautiful tea cup with a shrimp on it! I took the suggestion from some Yelp goers who said that their special rolls are fantastic and definitely a must-try; especially the “Toronto Roll”. Thus, that’s what I ordered. 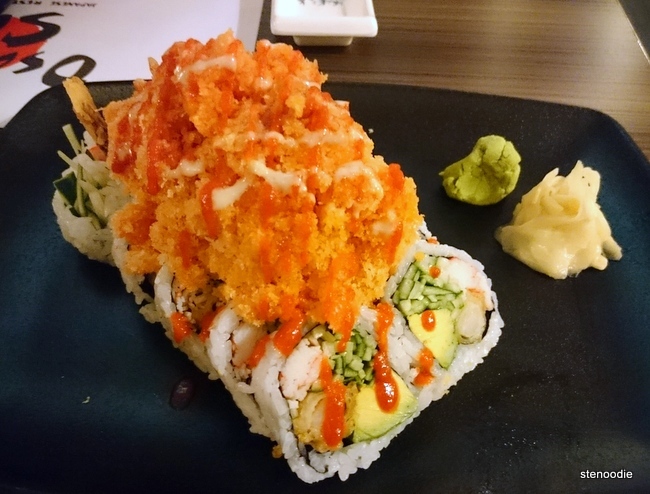 Tam also got a special roll, the “Spicy Orange Dragon Roll”. 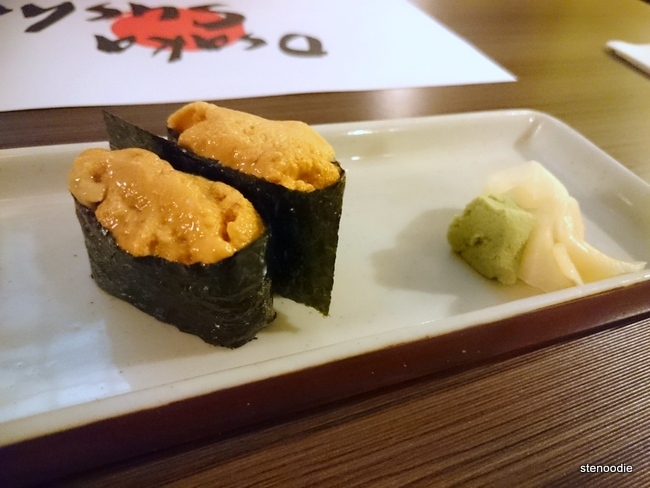 We also ordered two uni sushi to share. They had a special for two pieces for $5.45. I love uni and it’s hard for me to resist when I see it on the menu and when it’s discounted too! The food didn’t take long to arrive and the service was very friendly and attentive here. The uni sushi arrived in two pieces. I thought that the uni definitely had a strong fishy taste; as uni usually does. I thought that it was a lot thinner than I desired. Its colouration also wasn’t as bright as it usually looks. I like thick, fatty uni. Nevertheless, it was still yummy. 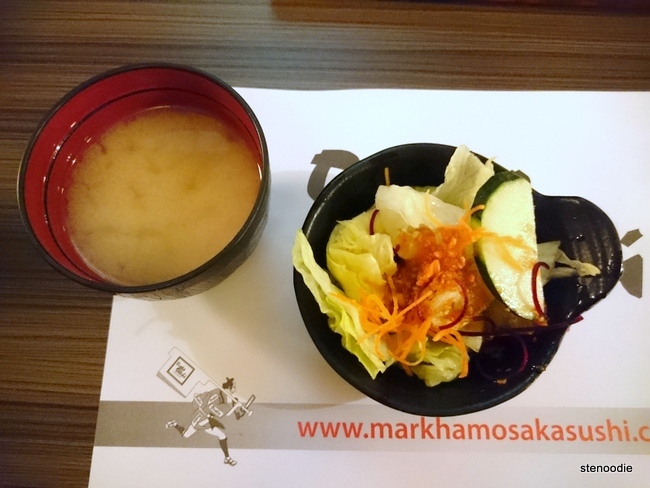 The special rolls each came with a miso soup and salad. The salad had very crunchy and fresh lettuce leaves! The dressing was very light and barely detectable in the salad. 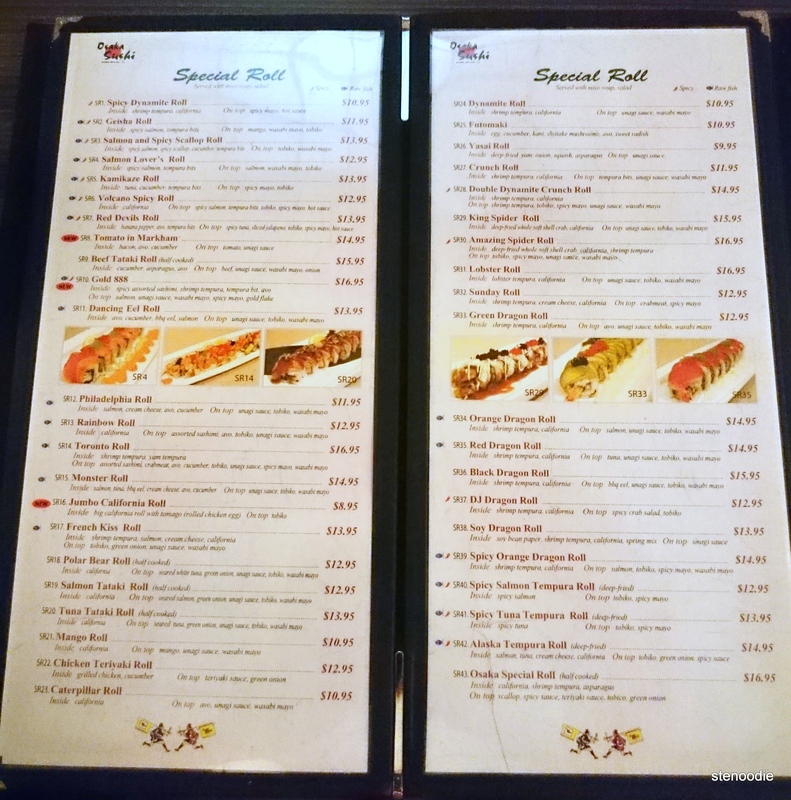 Wow, when the special rolls arrived, I was in awe and so was Tam. I had never seen a sushi roll presented like this before! 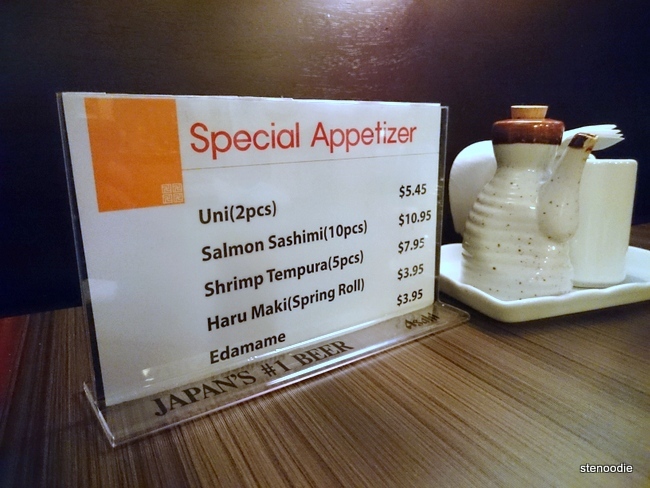 At first, we were even a little confused as to which roll was which even though the server did announce its name when she put it down. Good thing we still had one menu on the table with us so we figured out which roll was which. 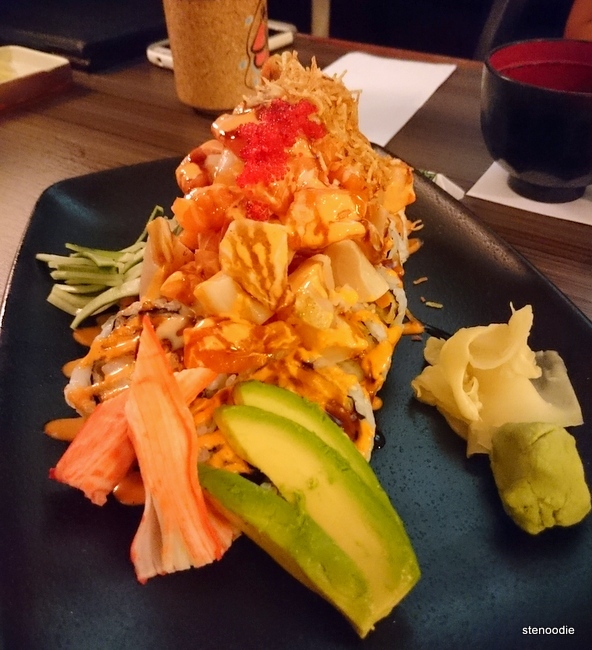 I would definitely recommend the Toronto Roll to anyone who is visiting Osaka Sushi for the first time or want something that is over-the-top. 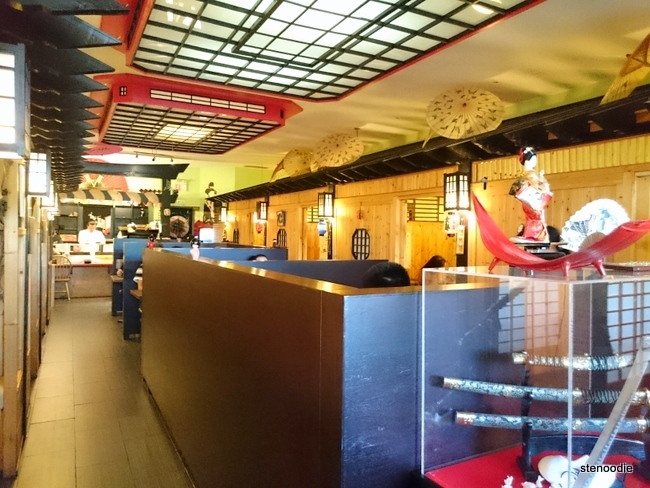 Also, in general, I think Osaka Sushi is a great place to bring anyone you want to impress… like on a date, let’s say. 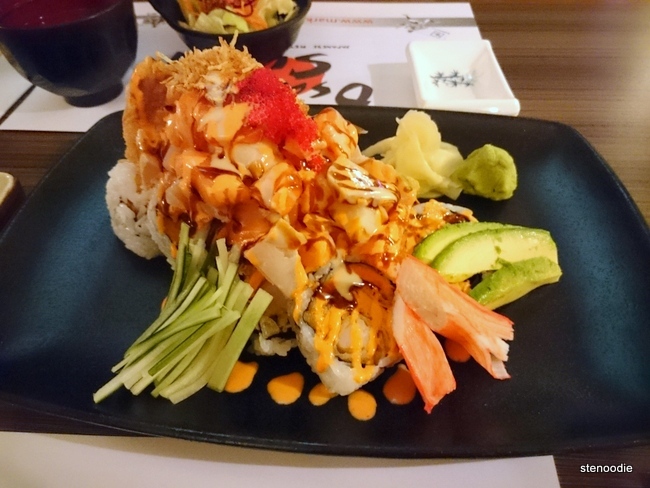 Tam ordered the Spicy Orange Dragon Roll. 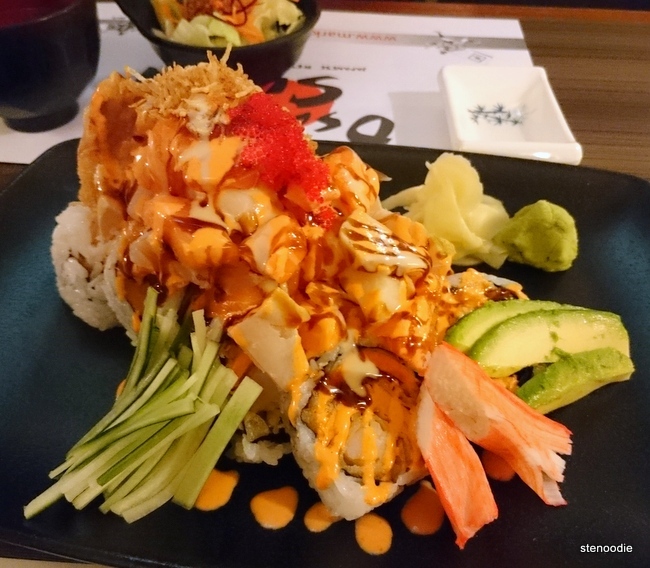 It had shrimp tempura and California roll ingredients on the inside of the roll and then salmon, tobiko, spicy mayo, and wasabi mayo on the top. This was also a sight to behold. There were so much salmon and tobiko on top of it! I tried one of the rolls and really liked the combination of flavours. It was so good. 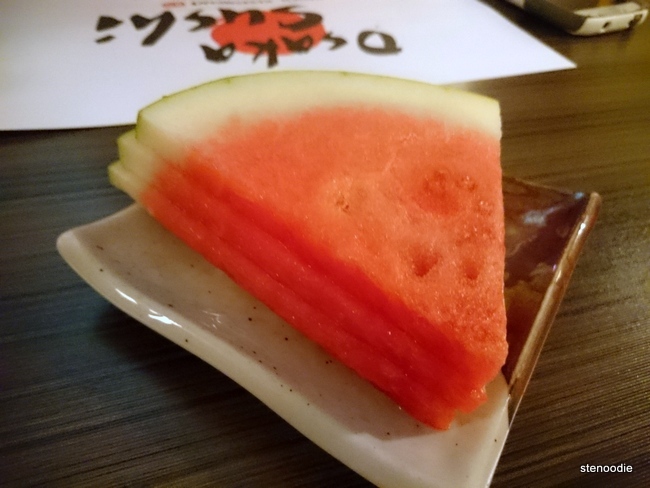 I would definitely come again to Osaka Sushi Japanese Restaurant. I can’t believe I didn’t know about this restaurant until now! A great night of food and conversation at Osaka Sushi! This entry was posted in Food and tagged 5762 Highway 7 East, amazing sushi restaurants in Markham, dinner, food blog, foodie, Japanese, Japanese restaurants in Markham, Markham, Osaka Sushi, Osaka Sushi Japanese Restaurant, Osaka Sushi rolls prices, Osaka Sushi Special Roll menu, restaurant review, Spicy Orange Dragon Roll, Sushi restaurant that will impress, Toronto Roll, Toronto Roll from Osaka Sushi, uni sushi, wait times for Osaka Sushi. Bookmark the permalink.